How many times have readers said that glitches always impact sellers and not eBay? Here's an exception to the perceived rule. The Justice Department said a buyer exploited a glitch on eBay and racked up lots of purchases without technically paying for them. The government said a glitch permitted repeated uses of the same gift card. It made the claim in a press release in June when it announced it had charged a Pennsylvania man with wire fraud in connection with a scheme to over-redeem gift cards. "The information alleges that between October 29, 2016, and January 10, 2017, Broudy intentionally conducted approximately 1100 fraudulent transactions triggering this glitch, and in the process over-redeemed approximately $320,582 from the company's gift cards," the US Attorney's office alleged. The Philadelphia Inquirer had more details in an article published today. It's rather embarrassing for eBay. While there's no indication of when the glitch came into being, the government said it was in place for at least 2-and-a-half months. Presumably sellers weren't held responsible for the alleged fraud since items were purchased with an eBay gift card, so mark this down as a case where a glitch cost eBay rather than eBay sellers. To bad he got caught!! of coarse fleecebay can commit fraud everyday and nothing happens. So greed bay has a glitch that someone managed to steal over 300 thousand dollars... Thats funny cause I'm willing to bet they steal that much daily from their sellers......So Karma has a way and hopefully more of these kind of glitches occur. To bad the guy got caught but I would think he isn't the only one who knew about the glitch. "We have identified you as a business seller. That being the case, its quite common in selling online that you experience losses. Since you are a business, its expected that you WILL take some losses when selling on eBay. Therefore take the loss, and there is nothing we will do for you"
Thats what they tell you when an eBay buyer steals from you, so why cant that just be enough for eBay?????? Why is the Justice Dept even involved??? THEFT is "di reguir" on eBays platform - isnt it time someone stole from them? (with impunity). 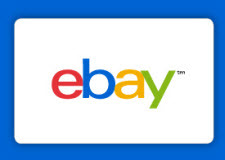 "“We have zero tolerance for criminal activity on our marketplace, and we’re pleased that this individual has been brought to justice," eBay spokesperson Ryan Moore said in a statement. If that was an honest statement, why does eBay allow liar buyers to scam sellers on (I imagine) a daily basis? Why doesn't eBay take action to stop the fraud that is a serious problem on their site? “We have zero tolerance for criminal activity on our marketplace." Have you ever just sat there with your mouth open in such a high level of disbelief that you don't know whether to laugh or vomit. Literally unable to mouth a single word. Zero tolerance???? Their entire business is based on complicit crimes, scams, thieves and counterfeits. "No place" - when its directed towards US, when its directed towards our smaller sellers - then its not really a big deal. Why is the justice department suddenly concerned with ebay? they need to look at Ebay!! the NUMEROUS lawyers over in San Jose, ALWAYS portray themselves as the victims. they write briefs, give counsel (and money), and pretend its all the "nasty, evil, mean sellers fault". This time, some guy found a loop in their system. After telling anyone/everyone who would listen that they are a super duper pooper scooper tech company - it COULDNT be their fault. He must have found a way to cheat the system and we (poor old eBay) got caught and lost 300K. Poor them, boo hoo, less champagne, less leer jet travel, less parties for the rich and stupid. Maybe this time, eBay got their comeuppance, maybe not - but their insurance made them whole - sellers cant fall back on that. I hope thy get more of their own medicine ... and how! Business losses generally equate to higher prices. $300,000+ is a huge loss for any business. Well, perhaps one mid level manager's salary at eBay. Nevertheless, that $300k plus legal expenses has to be recouped somehow and from somebody. And we wonder why seller expenses go up and pay to play schemes abound. This is what happens when you don't pay your programmers. Why are they even prosecuting this? Isn't it just part of eBay's famous 'Cost of Doing Business' ???? I find it hard to believe that only ONE buyer figured out this glitch. I think others did but haven't been caught.